Seriously, if anyone has advice/suggestions/anything really, it is very much appreciated! 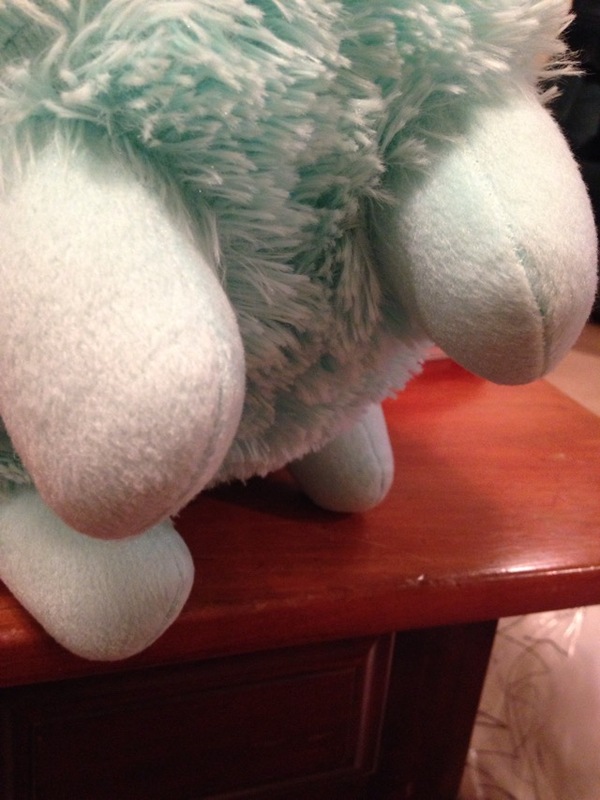 Here is the guide made by ophiuroidea on stuffing! I restuffed my Oshare Lace and I literally can't remember which leg I did it on, seriously I can't even find my stitching. Make sure you do it along the seam on the inner portion of a leg and using seam rippers, slowly open a hand sized hole. I then pushed around what stuffing was already inside, then added a hefty amount more until she was overstuffed pretty much. Of course, now, she is the perfect amount because of cuddles! 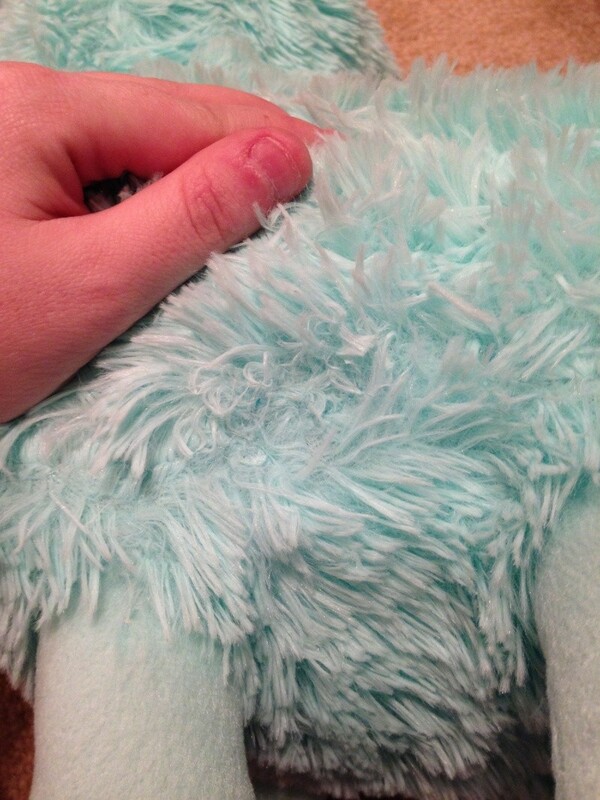 ^ This is a great great guide that outlines the seam closing stitch I used! It was time consuming, but considering I can't find the stitches anymore, I think I succeeded. Thank you guys so much for being a tremendous help! I think I'll be trying this sometime this week since I have free time (on my bootleg first) and I'll be sure to post pictures/process thoughts when I do. 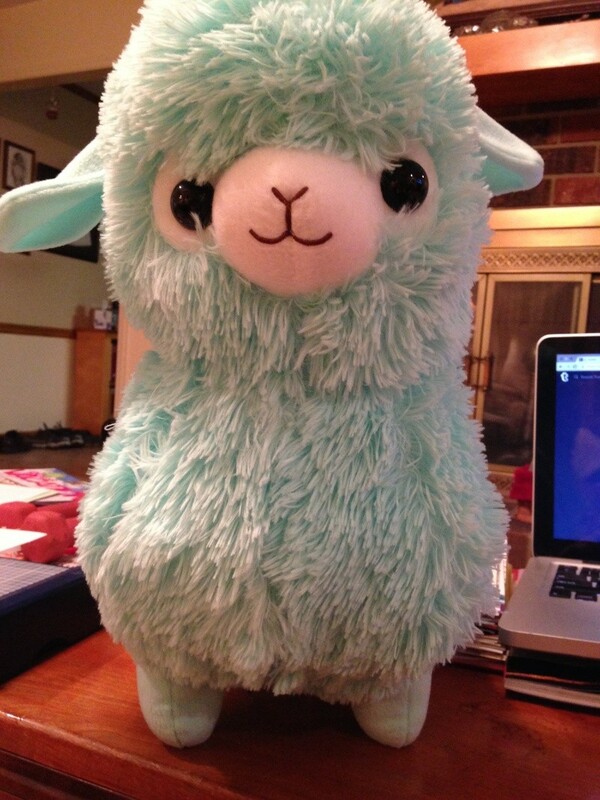 I have successfully restuffed my alpacas! Both guides posted here were tremendously helpful and I can't thank both Tamabonotchi and Kellie enough! And I hope this helps you too, Tsuta! 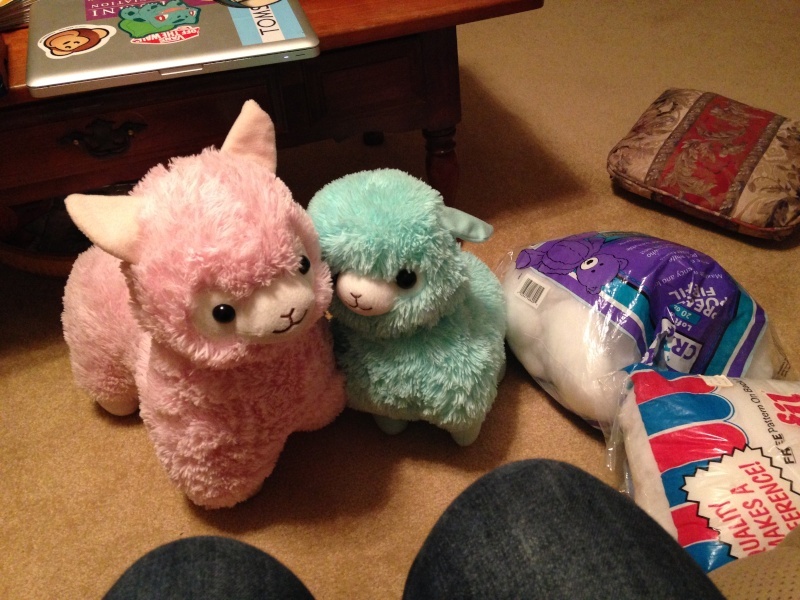 Florean (YesAnime alpaca) and Candy (Amuse Alpacasso) eagerly awaiting major surgery. I just used polyfil I had laying around and thread. I used a seam ripper to pull out the seam. I didn't rip through it, just unthreaded it. The hole was made on the inside of one of his back legs. I stuffed him really, really full. Like as full as I could. I suppose he didn't really need it, but it's still really nice. I used the stitch that Kellie suggested and it was not difficult. It's just time consuming. 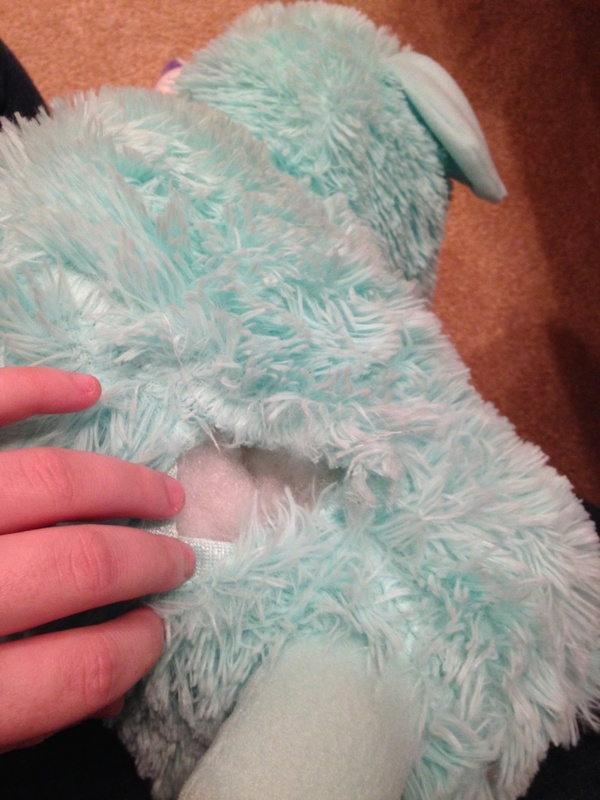 I had to take a little bit of stuffing out of the leg to get it to sew shut, but that's totally fine. You can't even see it. I even used a thread that was slightly more coral-orange in color and because the stitch hides the thread so well, it doesn't even matter. My only sort of gripe is that the fur gets in the way and is a bit of a nuisance. But it's a small price to pay. I opened her up using the same seam unthreading as before. I didn't make quite as big a hole because I wasn't planning on doing anything other than fixing her poor foot and making her head slightly less wobbly. I stuffed her foot, it was really badly understuffed. However, it is much better now! 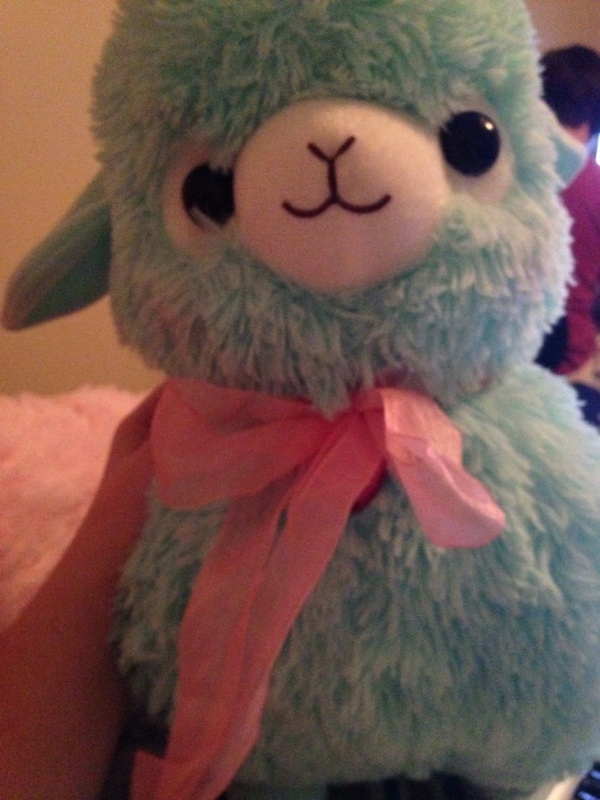 I then sewed her back up! I am not as happy with this but I realize it isn't my fault. Her seam was already sort of wonky and there wasn't a lot I could do to mask that. Her back legs are crooked. Poor babe. I'm really glad to have her but I am a little disappointed in Tokyo Otaku Mode for sending me a plush with some pretty noticeable defects. I only paid 9 dollars for her after discounts and promotions, so I can't be too upset. Plus, it doesn't really matter to me. I like her anyways. 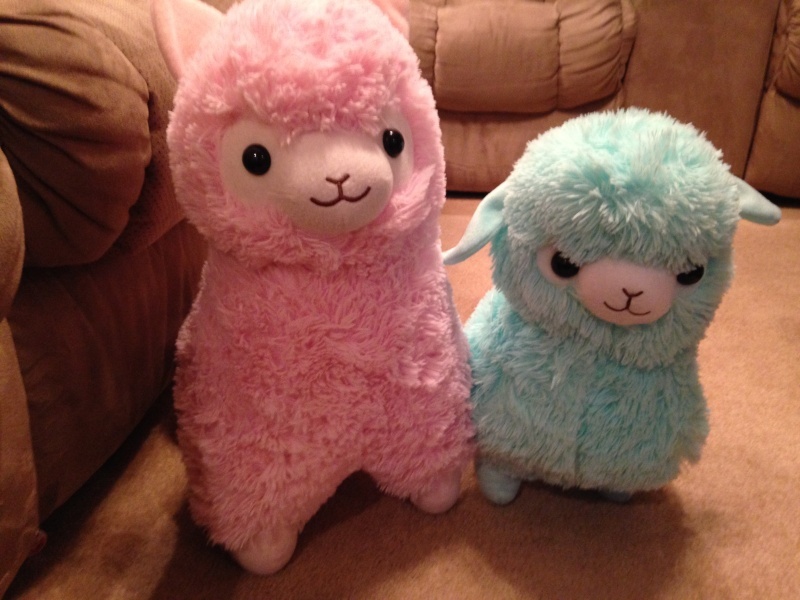 Here they are looking super cutie! Overall, it was a positive experience. Time consuming but worth. 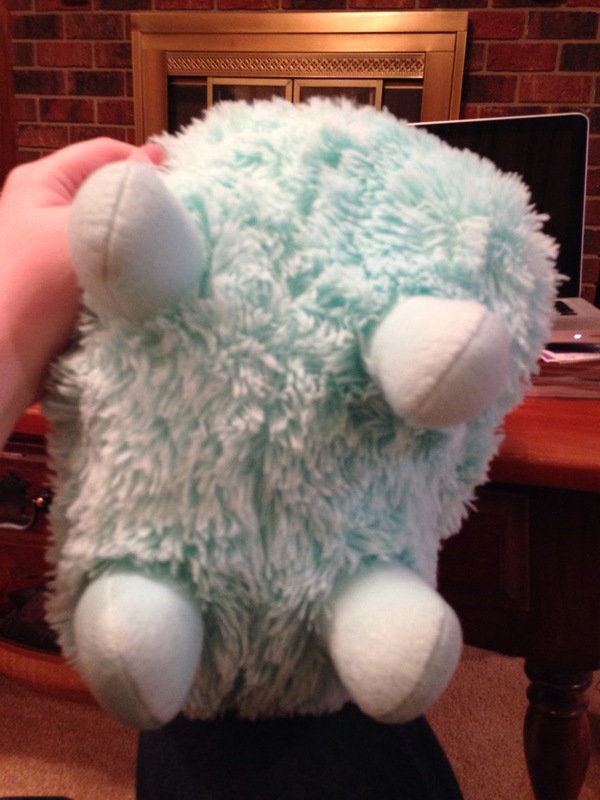 I'm definitely not the best at stuff like this, but if I ever get another plush with a defect, at least I know how to fix it now. Hope you guys liked the pictures! I'm so glad I did that stuffing guide (I'm ophiuroidea from Tumblr btw)...I can't believe how many people have used it! @Ryama-san wrote: I'm so glad I did that stuffing guide (I'm ophiuroidea from Tumblr btw)...I can't believe how many people have used it! Ah hello!! Thank you so much, it was really helpful and incredibly appreciated! Question for anyone who has done this, are you able to feel your seam at all? 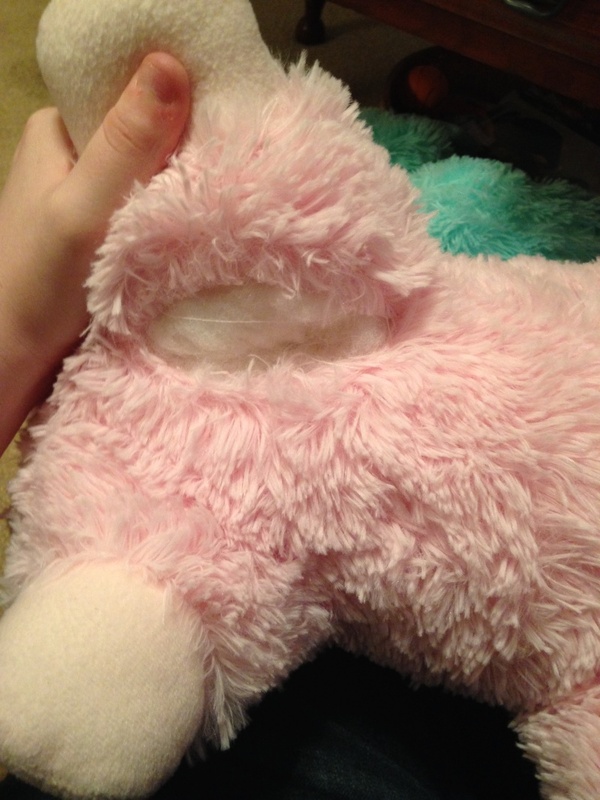 I restuffed two of mine and I can feel the seam, but not really see it I don't know if its because I opened mine on the side instead of the leg area. 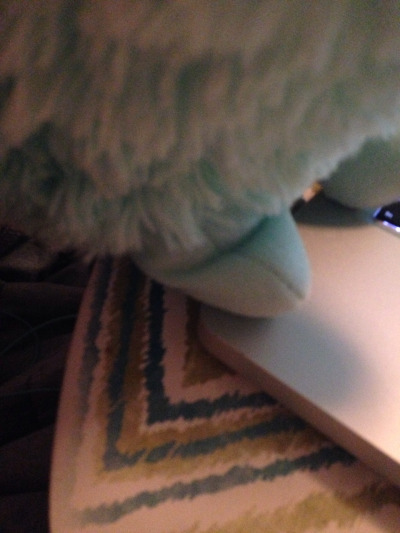 @plushie pens wrote: Question for anyone who has done this, are you able to feel your seam at all? 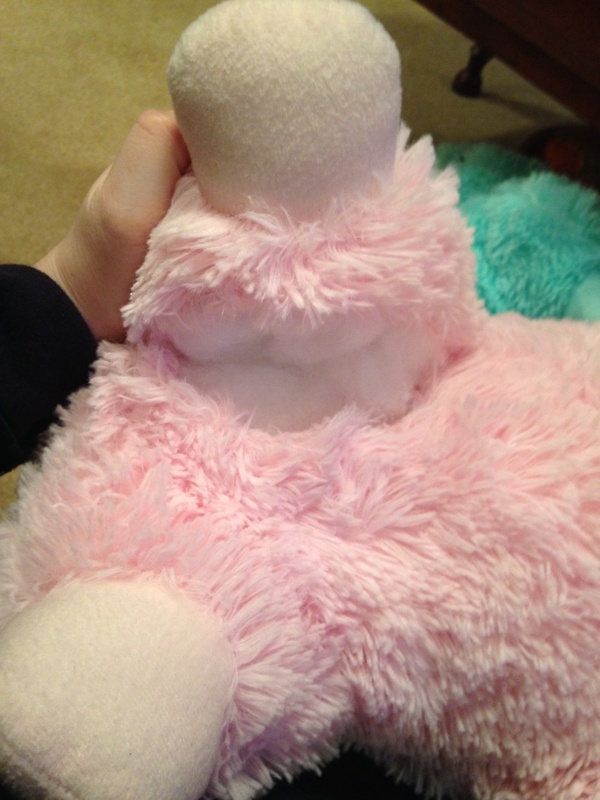 I restuffed two of mine and I can feel the seam, but not really see it I don't know if its because I opened mine on the side instead of the leg area. I cannot feel the seam that I did on the leg area, at all. Can't see it, can't feel it. 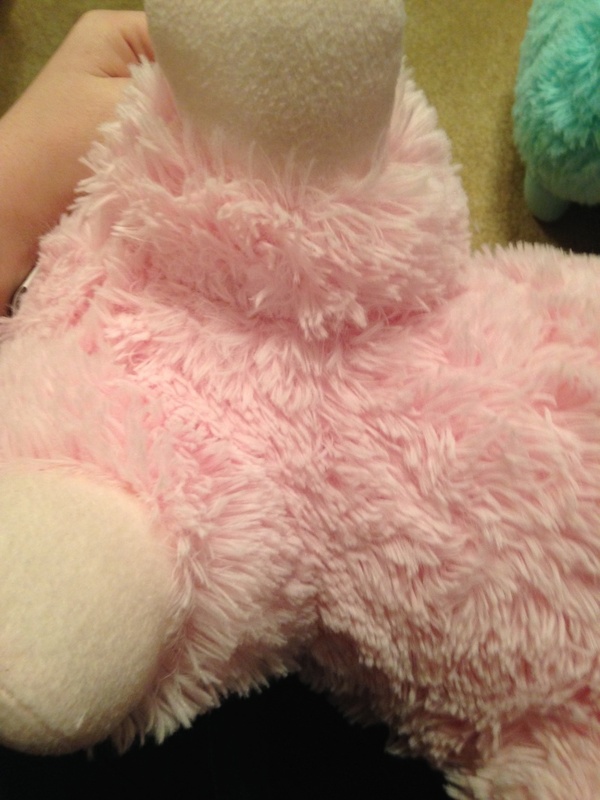 I can feel the one on the side, however, I already could when I opened the plush up because it was already sort of loose/puffy. I think because the seams on the side are much more exposed, it makes a lot of sense that you'd be able to feel it, unfortunately. Yeah I can feel the seam on mine a bit, partially because I sewed it back together kind of funny. If you fold the two pieces of fabric under and sew them to the inside then you won't feel the seam as much...but it's hard because they have so much fur! Boo, well at least I'm not the only one, I'll try redoing them again, and hopefully. But at least I don't ever plan on selling those two, but it just a bit annoying knowing that I can feel it. So after over an hour of stitching (and I'm an advid sewer) I finally concealed the seam in my yellow ribbon Bon bon! I can't even really feel it, except where I tied it, and I cannot see it at all! All I did was keep the fur out of the hole when stitching! I'm beyond happy and now plan on refixing my large goodnight! 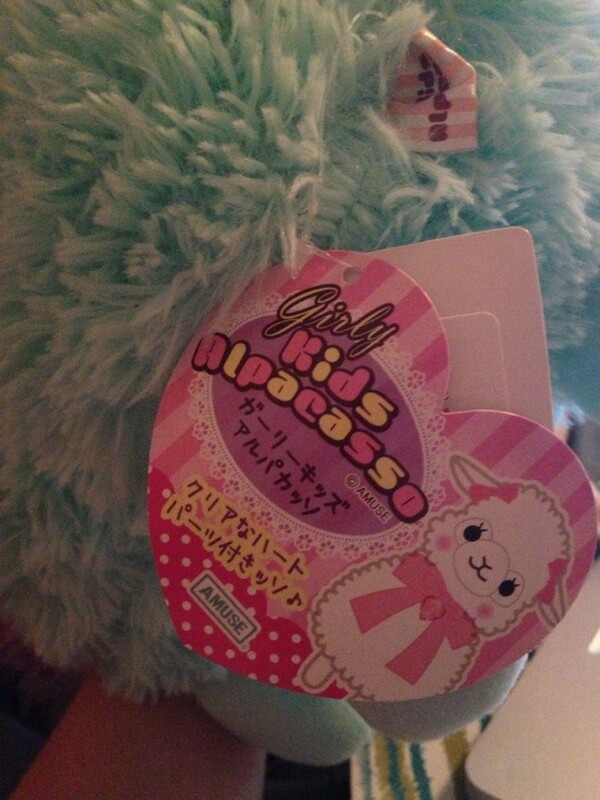 I re-stuffed three of my alpacasso. Too scared to mess it up so I had my mom help with the cutting and sewing orz but they look much better now that their heads don't flop around! On my pink baby we made a big cut right at the front of her chest and on my marine baby and funwari small cuts on their necks. The resewn seams don't feel that noticeable, in fact my pink baby is pretty rough seams in some places and her closed wound is nothing compared to the rough seams.